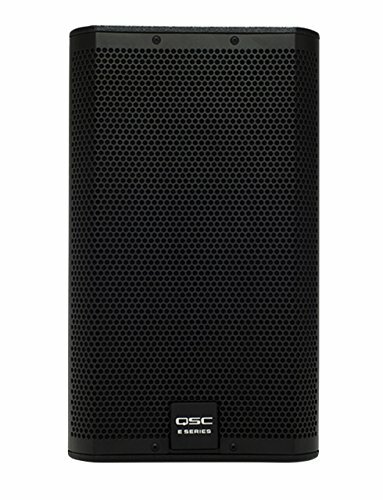 The E10 is a compact, two-way loudspeaker with a 10-inch, die cast frame woofer with a 2.5-inch voice-coil housed in a multi-purpose enclosure that’s at home in stage monitor or main PA deployment. It incorporates QSC’s DMT (Directivity Matched Transition) design with a wide 85 Degree coverage. When used as a stage monitor, the E10 is angled up at a 55 Degree angle allowing it to be placed near the performer when used on a crowded stage. E Series Entertainment System - Advanced digital signal processing tunings and options using QSC GXD, PLD amplifiers or TouchMix digital mixers.